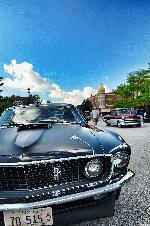 Various photos from the Windy City Shelby Car Show held at the Autobahn Country Club in Joliet, Illinois on 6/28/2014. Various photos from the Supercar Saturday held at the Promenade Mall in Bolingbrook, Illinois on 5/3/2014. 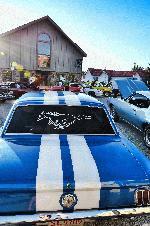 Various photos from a get together us Mustang owners did to celebrate the 50th birthday of the Mustang. Various photos from the World of Wheels car show that was held at Rosemont, Illinois on 3/1/2014. Various photos from the Supercar Saturday car show that was held at the Bolingbrook Promenade mall on 9/7/2013. Various photos from this years (2014) Chicago Auto Show. All pics were taken on 2/10/2014. It was great to see the new Mustang up close. Various photos from the Morris, Illinois cruise night that was on 7/13/2013. There were well over 800 cars that night. Various photos from the car show on Labor day 2013 (9/2/2013) held in Naperville, Illinois. 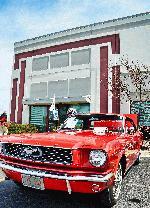 Various photos from the car show during Bolingbrook's Summer's Last Blast. 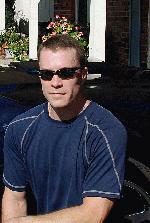 This event is to enjoy the final days of summer and is held in Bolingbrook, Illinois each year. Various photos from the Bolingbrook Jubilee car show held on 8/17/2013 in Bolingbrook, Illinois. Various photos from the Plainfield cruise night on 8/13/2013 held at Plainfield, Illinois. Various photos from a cruise night held in Plainfield, Illinois on 7/16/2013. Various photos from the Northern Mustang Corral Annual Car Show held at Perry Farm Park in Bourbonnais, Illinois on 08-04-2013. Various photos from a cruise night in Downers Grove, Illinois on 8/16/2013. Various photos from the cruise night at Cozzi Corner located in Downers Grove, Illinois on 9/24/2013. Various photos from the cruise night at Cozzi Corner located in Downers Grove, Illinois on 9/3/2013. Various photos from the cruise night at Downers Grove, Illinois on 7/12/2013. Various photos from when I went to the Autobahn Country Club in Joliet, Illinois to watch a buddy of mine race his Corvette on the track. Sure was a good time. The CVMC (Chicago Vintage Mustang Club) http://www.chicago-mustang.com/ put on their annual Ford car show on 9/29/2013 at the Autobahn in Joliet, Illinois. One of the draws to the show is the parade lap show participants get to enjoy with their car.